It's time to celebrate the beginning of a brand New Year by paying special attention to Sloto Cash Casino's most popular slot machine games of 2014! And to celebrate the start of 2015 we want to give you double comps when you play these fabulous slots that are packed with winning possibilities and action! 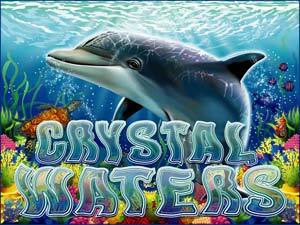 Crystal Waters:The deep end of the sea is waiting for you where you'll discover a world of sea creatures and winning combinations with scatters, wild symbols and free spins! 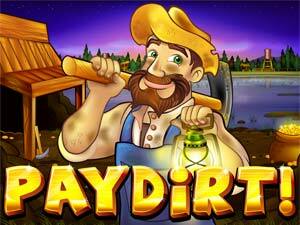 Pay Dirt: Gold Nuggets, Paydirt Signs, Gold Mines, Bandits, Dynamites and many other Gold Rush-themed symbols is what you can expect to find on the 5 reels of this highly profitable and fun slot machine game packed with winning chances! 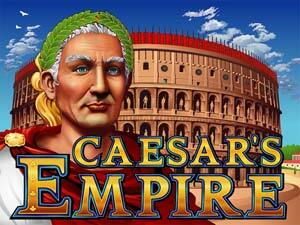 Caesars Empire: Try your luck with a game that pays tribute to one of the most famous emperors of all time! Win up to $12,500 when playing with maximum bet amount and landing 5 of the wild Cleopatra symbols! 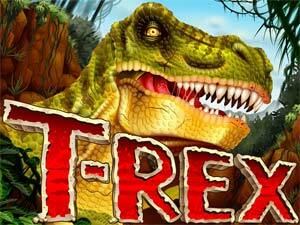 T-Rex: Travel back to prehistoric times when you hit the spin button of this fun 25 payline slot! Collect a heap of coins when you play this game that has two bonus features, free spins, doubled winnings and much more! Make this New Year one to never forget by doubling your fun and earning double your comp points by playing our most popular slot machine games! May your 2015 be filled with Sloto Cash winnings!